WHAT DO YOUR NEW JERSEY NEIGHBORS THINK ABOUT ADVANCED ROOFING SYSTEMS? We can talk all day about how Roofmax is not your typical roofing and home improvement contractor. But when it comes right down to it, we can’t tell our story as well as our customers can. We are always delighted when our customers in the Bay Area tell us how they feel about their Roofmax experience. Discover what your neighbors think about Roofmax. Here are comments from just a few of our East Bay customers. I am so enjoying my new roof and solar tubes and needed to let you, Raul and your wonderful crew know how much I appreciate their hard work. From beginning to end, you and your company were true professionals. You showed up on time for all appointments, brought all information necessary to make a decision about the products and options for our roof and even pursued pictures of the products we were interested in that were so new that someone had to go out and get pictures of actual homes with them. I cannot tell you how appreciative I am of these courtesies as that is so often not the case in the contracting business. When Raul, Ron and many others were on the site working they were always able to take time to explain things to me and work out all the details. They also worked so industriously and cleaned up the job site every day. Lastly, you even finished the job ahead of time. That is practically unheard of! My family and I are really enjoying our wonderful new roof and the light-filled rooms due to our new solar tubes, and I have no worries about leaks once this winter comes. 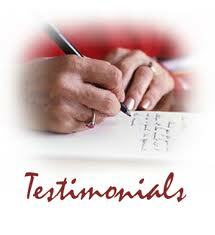 We are so glad that we chose you and your company to help us with our roofing project. I would like to say that I am very pleased with my choice of Roofmax for my home repair project. Because I needed more than just a new roof (dry rot repairs, siding and concrete work) I wanted a company that could "do it all". Roofmax was the perfect choice. Dean was prompt and reliable. He went over all my options and quoted a fair price. He convinced me of the quality materials and workmanship that Roofmax offers. Raul was terrific. He was on the job site every day, answered all my questions and reassured me that everything would be taken care of. He kept everything coordinated and flowing smoothly. It was all completed in a timely and efficient manner. The crews worked hard. The quality of their work was excellent. Overall I am very pleased with Roofmax and would not hesitate to call again when and if I need further work done in the future. Thank you roofmax. I hope to enjoy the ipad and teach my husband how to enjoy the tech life. I do love my new roof and the sun tubes are a wonderful delight as the beauty of the day light shines in my dinning room/kitchen and back hallway that were very dark without artificial light in the past. We keep thinking we left a light on. Everyone that comes into our home thinks they are a great addition to our home. Roofmax went about their business in a well-managed and organized way. (As an engineer and former management consultant, I could not help but be impressed.) Prior to the project, the Roofmax representative patiently and thoroughly explained what would happen, when and by whom, and what materials and equipment would be used. Several days before the project was to start, the representative and the jon foreman met me to review what would happen. The project was exactly as planned, and I was very impressed. After the job was over, Roofmax continued to assume responsibility for loose ends, if any. Quality materials and good workmanship cost money, and this job was no exception. I suspect that I paid top dollar for our new roof and for the heavy insulation and the new gutters and all that went with it. But I feel that we clearly got our money’s worth. We have a good looking roof that we and subsequent owners won’t have to worry about in the future, and we have made our contribution to the quality appearance which characterizes Sycamore. Would I select GAF and Roofmax if I were to do it again? You bet! I would like to comment on how much it meant to have the whole project done in 5 days. The workers put in 12 hour days and were friendly, courteous and amazingly efficient. When I had a question, someone was there right away to check it out. I was also pleased to see that GAF came out a week later and certified that the job was done properly and the warranty is in effect. I have had numerous inquiries from neighbors inquiring your work and my new roof (which is the best looking one in the neighborhood of course). I can only give glowing reports and hope these people will follow through and contact you. When we realized we needed to replace our roof, we did some checking with four roofing companies. Two of the estimates were lower than ROOFMAX. However, we looked into the companies and found, without a doubt, that the reputation of ROOFMAX was unsurpassed. The crew at ROOFMAX worked very hard and did a superb job removing and replacing our old roof. They upgraded our insulation and added three tunnel lights. The lights have enhanced our home a great deal and brightened up areas that were dark, in the master bathroom and the main hallway, as well as the entrance. When the men finished with the installation, they came back and replaced downspouts and completely cleaned the patio, driveway and even the garage. No one would ever know that a short time ago there was an entire construction crew working on our house. There are no remaining signs – only compliments on what an outstanding improvement the new roof is. Two of the inspectors were very happy to be working with ROOFMAX. One of them told us that he had not encountered any problems with inspecting a ROOFMAX roof in his career as an inspector. And when the GAF inspector checked out the job, he had only good things to say about ROOFMAX. So thanks. You have an A #1 organization. As far as we’re concerned, you’re the best at what you do. On the first day of construction, I was very happy with the crew because they showed up on time and worked hard to keep my yard clean and free of as much debris as possible. I talked with the supervisor, Joe, several times during the construction and was pleased with the attention he took to my roof job. The workers were friendly and professional at all times in my contact with them. My neighbors were very complimentary on the look of the new roof. We received many comments as to the speed of the installation and the great look achieved with the shingle choice that we made. They were also very complimentary and surprised to get a letter in the mail notifying them of the impending construction event in order to prepare them for the noise and activity at our house. Thank you for doing such a great job! •The Sales Process: Roofmax fully evaluated our roofing needs, educated us on roofing alternatives, and designed a roofing system that met our roofing and energy saving needs. •Installation: Our dedicated Project Manager-our personal liaison-was continually on site, kept us well informed, promptly addressed any concerns, and kept the project on track. Their courteous and experienced crew did excellent work and kept the work site clean through the project. •Inspection & Walk-through: Roofmax senior management was on site for the final inspection, insured the system was completed to expectations and conducted a comprehensive walk-through to educate us on our new roofing system. Our new Roofmax roof is a superb investment to our home’s value and for the safety and security of our family. Should you have a roofing need, I highly recommend you interview Roofmax prior to making your roofing decision. The job was completed as per estimate and done in a timely manner given that poor weather conditions prevented it from being done sooner. The job foreman, Joe, was exceptional and genuinely concerned about doing the job properly. I would also add that the office manager, Debbie, was very courteous and helpful in scheduling. I would recommend this company to anyone in need of quality workmanship. I wanted to take a quick moment to write you that my Mom and I are EXTREMELY pleased with our roof. I talked with the inspector today after he gave his approval, he said it’s truly one of the best jobs he’s seen, and he’s been at this for 30 years. Joe and his entire team were amazing from beginning to end. Joe is the best project manager I have worked with. He was on top of everything and yet always relaxed and pleasant. The entire crew were incredibly skilled and hard working. I have never seen a team take so little breaks and stay so focused. Every night my property was left spotless in spite of the guys surely being so tired. But Joe and his team are do it 100% right type of guys. In fact Joe goes beyond that 100%. Because of that, what is a stressful process even when it goes perfectly well was made a lot less stressful. There was never a doubt from our first meeting that Roofmax was the right company. From your depth of your presentation to my belief in your personal standards, I knew I would get the roof I need and deserve. So again, I can’t compliment Joe and his team enough. Feel free in the future to give people my email should they need a reference…Thanks again to your entire team. From the first rainy season in new home in 1982, we experienced multiple leaks in multiple places. Approximately ten years later, we “gave up” and totally replaced the roof. The second roof, if anything, was worse; and we were required to hire yet a different roofer to install and remove bienally a plastic cover over our skylight. In the meantime, leaks in other areas such as the kitchen, dining room, garage, etc., continued. In late 2007, Roofmax was recommended as a quality roofer. We retained your company to install a new roof, new insulation, new gutters, new gutter covers, etc. In addition, we placed timing constraints upon Roofmax due to the pending R&R of our son in the military. The bottom line, we are very pleased. Under the guidance of Jon (the owner), your able crews (Joe, Rafael, Liam…and many others who remain un-named only because we do not know their names) worked long hours (including weekends), safely, quietly, and very expeditiously to complete the entire project in less than two weeks. They cleaned up the work areas on a daily basis and performed a thorough clean up effort upon completion. By way of comparison, our prior installation consumed nearly 18 months of installation time…and with a very undesireable result. We are particularily pleased that the company executives appeared frequently at our worksite and showed a real interest in the level of our satisfaction. As an additional touch, Ron and the office staff were very helpful in assisting us in locating great financing with great terms and conditions. Finally, many friends and neighbors have commented very favorably upon our new roof’s appearance. Please count us among your many satisfied customers. I couldn’t believe you left on Friday without saying goodbye! I really wanted to thank you for the beautiful job you did on my patio cover and paint the cupboards. I am so pleased with the way everything looks. I would have much rather told you in person. My daughter said probably you were in a hurry to get to the next job, but still I was disappointed. Please remember if you would like more grapefruit someday, just knock on my door, and you are very welcome to come and pick some. Thank you again, your work is just great! We recently had a new roof put in our house by Roofmax. They were very prompt in coming out to give a quote and explain to us how the roof would be installed and the warranties that they can offer. They completed our roof in two days and the gutters in a matter of hours. Although we did run into some issues with the contract and some major issues as the roof was being installed, they stood behind their work and fixed everything in the end. We were very happy that a manager took the time to come to our house and address things with us in person and not just on the phone. We love our new roof and gutters. We know and trust that Roofmax will stand behind their work if any problems should arise and I would recommend them to neighbors and friends who are looking to have a new roof installed. Ten years ago you installed a roof that completely fixed our leaks. The material was manufactured from a company that guaranteed their product for much longer than ten years. This year when there were significant cracks in the material you contacted the company and had them send out a representative. But, that company wouldn’t cover the cost of fixing the cracked area or replacing the roof. Because you backed your work 100% you had a team of your men come and seal our entire roof (not just the cracked area) with a white material that not only sealed the roof, but reflected the sun’s rays. And you took on the cost without charging us. Bravo for being environmentally conscious! We are so impressed. Through the whole process we never had to check back with Roofmax. You were diligent and persisted with the other company and when they didn’t back their product, you insisted on backing your own business. We are extremely happy and we are already recommending Roofmax to all our friends and acquaintances. Thank you for being one of the best companies we have ever done business with! I liked the overall quality and work they did. They the job quickly, efficiently, and it looks great. They were on time, and they got it done quickly during the rainy season. They did what they said they would do. They put in a high quality roof, and they were very professional. They were very professional from beginning to end. The quality of the material and the work. They took care of everything. They were also very conscientious about cleaning up. They were reliable and prompt. They did the work while we were away on vacation. When we got back, it was finished everything was clean. They came out and fixed the leak I had in my house, and I liked the people that I dealt with. They were fast. They resolved the problem professionally. They were efficient, and they did a really good job. They did a good job, and they were quick to fix the problem. They carried away my extra stuff. They're friendly, informative, and professional. They were courteous, and they finished it on time. They were easy to do business with. I liked the way they cleaned up after themselves every day. The people that I dealt with were very good. I liked the fact that they followed up on their work after they finished the job. I liked that they had great customer service and a good price. They were very responsive to all of my questions. They did what said they would do and they did a great job. They did it right and on time. They did a great job. I didn't even know they were there. They were done on schedule and they cleaned up very well. I am one hundred percent satisfied with their work. They did a really thorough job, they had great customer service, they were personable, and they really made it look nice. They had one of the better clean-up crews. Wanted to let you know how pleased I am with the replacement roofing. Your staff, office workers, salesman, and installers were most professional, neat and pleasant. I am very pleased with the quality and price of my roofing. I would not hesitate to recommend your company to anyone. My compliments to you and your staff on the way that you conduct your business.